On November 22, 2018, Zhang Jiagang King machine engineer Xie Lei went to Eller to debug 12 heads water line. 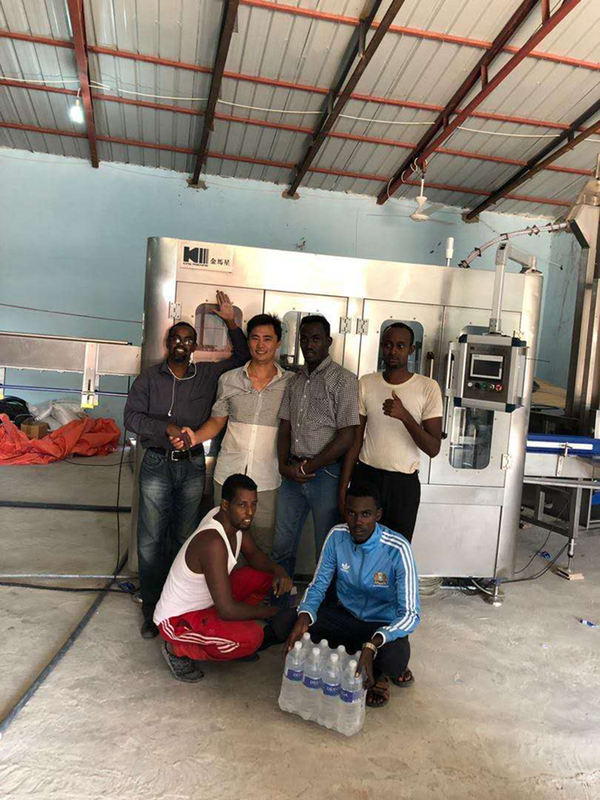 The commissioning took 45 days, the main reasons are: 1, the factory voltage is unstable, and the power supply is not enough, causing engineers to wait in Somalia for a long time. 2, Workers in customer factories mistakenly believe that filter materials in water treatment, such as quartz sand and activated carbon, are padding materials for equipment loading and unloading, resulting in a lot of damage during unloading and requiring local re-purchase. Although the customer has caused many problems for the commissioning work of the engineers, our engineers have worked together with the customers to solve all the difficulties perfectly. King machine has always been committed to the needs of customers, customer satisfaction as the goal, service quality is the top priority, and won the praise and trust of many customers.